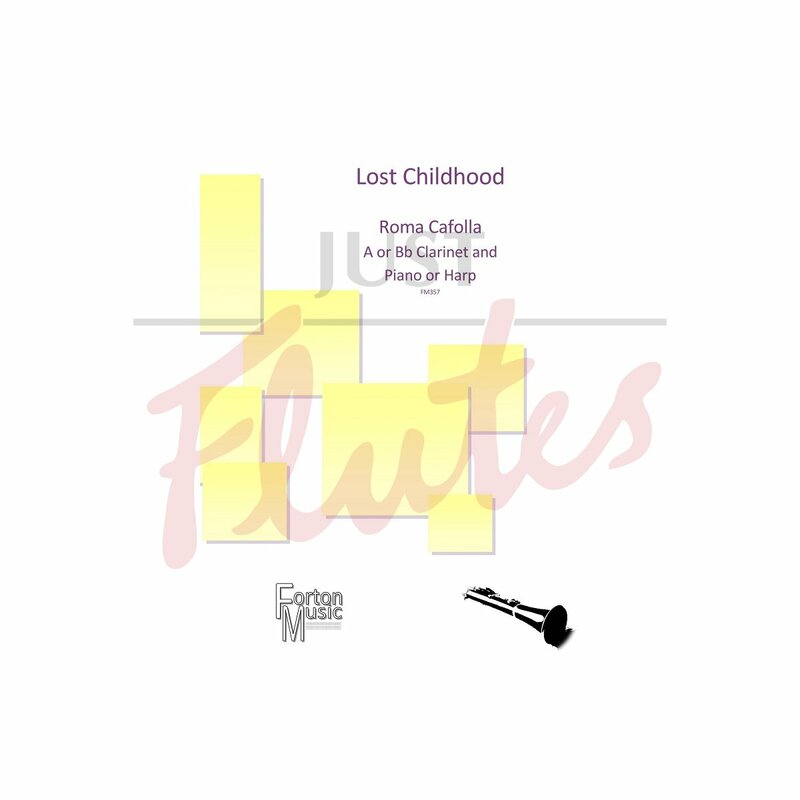 A or Bb Clarinet and Piano/Harp - Lost Childhood was inspired by thoughts and images of the composer's childhood after a deep conversation with her mother. At that time the composer was very ill and her mother outlined her thoughts about life and some of the regrets (we all have in a lifetime). This struck a resonant chord within the composer and this work is the product of the anguish caused by the conversation. Composed for clarinet and piano (also playable with harp) this heart-rending, beautiful work explores the different stresses and strains and moods of childhood and adolescence and is essentially autobiographical. It reflects the heartbreak of separation from her family when she was sent to boarding school which indeed seemed like incarceration in a "lost childhood".